Play now free at Sky Bet and get a £20 free bet! 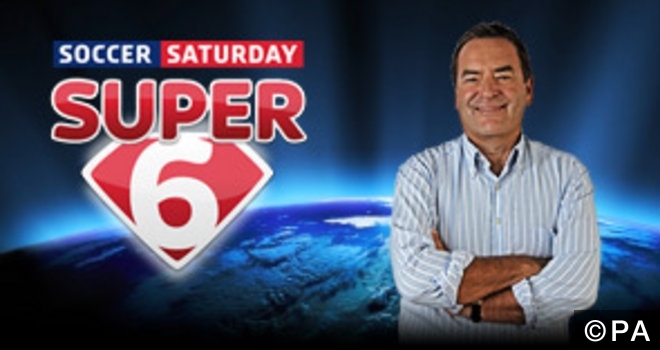 Sky Super 6 gives you the chance to win a £250,000 jackpot!! All you need to do is correctly predict scores of 6 matches and the timing of the first goal. Here, we will run through the 6 chosen matches and provide our valuable input into the scoreline suggestions. It’s free to enter so if you want to play all you need is a Sky Bet account, if you don’t have one you will receive a £20 free bet when you sign up here and bet just £5! Chelsea are unbeaten in the Premier League since Guus Hiddink took over, but their back to back defeats in the FA Cup and Champions League will have taken the wind out of their sails a bit. They are still in with a chance of qualifying for Europe next season, but this game against West Ham will be really tough. The Hammers have won five of their last seven in all competitions and find themselves challenging for a surprise top four spot. They have already secured some huge away wins this season as well, with away victories at Manchester City, Arsenal, and Liverpool. I don’t think they’ll be able to beat a Chelsea side who haven’t lost in 12 league matches, but a high scoring draw from two good attacking teams looks likely, especially considering Chelsea have drawn seven of their last 12 matches. I think a 2-2 draw is on the cards here. Crystal Palace are without a win in the Premier League in 2016 and find themselves in freefall. Not the best time to be coming face to face with the Premier League leaders. The hosts have lost eight of their last 12 Premier League matches and won none, and they are facing a Leicester side who have won six of their last eight in the Premier League and now find themselves odds on favourites for the Premier League title. This isn’t just limited to the KP Stadium either; they have the best away record in the league having taken an average of over two points per game on the road. I’m expecting a comfortable win for the visitors and 2-0 seems like a good prediction considering they are facing a Palace side devoid of goals. Watford enjoyed a really good first half to the season but they seem to have tailed off a bit recently. They find themselves within touching distance of the all important 40 point marker and just seem to be lacking a bit of motivation to push on in the Premier League. Stoke won’t be lacking motivation though; they are heading towards their best ever Premier League season and have won three of their last five matches. I think they can make it four in six on Saturday and play out a tight 2-1 win. There have been times this season where West Brom have looked like they were really struggling, but at the moment they find themselves in a good run of form and will want to do everything they can to keep it going and finish the season on a high. They have won three of their last five in all competitions, including wins against Manchester United, Everton, and Crystal Palace and a point against Leicester. Norwich, on the other hand, have lost nine of their last 11 matches since their last victory and find themselves in very real danger of being relegated this season. I fancy West Brom to get a win on Saturday, and an typical Tony Pulis result of 1-0 is looking good. Join SkyBet to play Super6 Free and qualify for Bet £5 Get £20 FREE! Burnley’s incredible run of form hasn’t showed any signs of abating in recent weeks, and they come into this match having won their last six on the bounce and unbeaten in 14. They are title favourites for the Championship and are looking to further strengthen their bid for promotion against a mid-table Wolves side who are struggling for motivation a bit at the moment. I think this will result in a comfortable win for the high on confidence Burnley team, and a 2-0 prediction looks good to me. Sheffield Wednesday managed to break out of their poor spell of form with a 3-0 win against Nottingham Forest last time out, but they know they have to keep the results flowing if they are to stave off competition for a playoff place in the Championship. Charlton are five points off safety despite their improved performances of late, and they know they need to go for wins rather than settle for draws. That’s a recipe for disaster for a team that has the worst defensive record in the league, and it’s made worse when they’re visiting the 2nd highest goalscorers. I think this will result in a comfortable 3-1 win for Sheffield Wednesday. Want Premier League predictions & betting tips? Click here to follow our experts! Categories: Blog and Football. Sports: Football.